Oh, Wildcard, I wanted to like you. 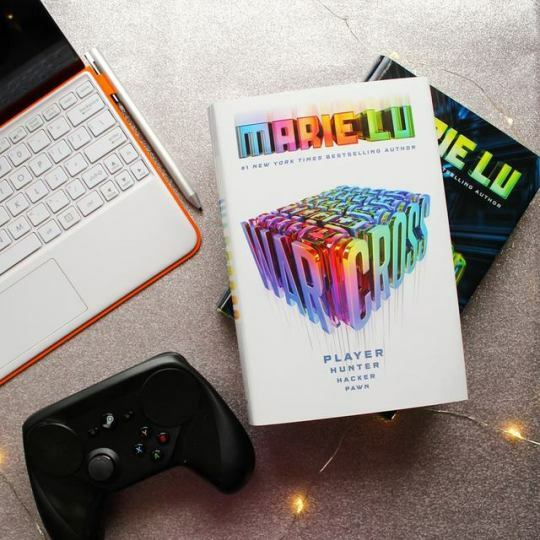 I gave Warcross a three star review, so it was solid but not super impressive in my eyes, but I was intrigued enough by the end to want to continue the series. I should not have bothered. Let me start with the positive; this book is trying to do a lot of interesting stuff thematically. Through Hideo’s character, Lu explores how practically limitless power, unresolved past trauma, and technology can intersect with disastrous consequences. The abuse of power through advanced tech is not a remotely new theme in sci-fi, but Wu’s futuristic society in this series does provide an interesting platform to explore it. That being said, I had a lot of problems with this book. Complex villains are good, but I wasn’t super thrilled about how Hideo’s character arc was handled, particularly in relation to Emika. She is horrified by what he’s done but can’t seem to shake her feelings for him. I’m not into the dynamic there; if you’re into shipping Kylo Ren and Rey, you’ll probably like it a lot more than I did. Emika spends a lot of time sympathizing with Hideo and thinking about how the loss of his brother has driven him down the path to becoming essentially a super villain. People die due to Hideo’s manipulation of the tech he’s tricked them into using. We all lose people, buddy. Most of us don’t resort to attempting mind control over the entire population of the earth over it. Overall, it just feels like Wu wants us to view Hideo as a redeemable character, and I don’t see him that way at all. Your mileage may vary. But on a broader note, I just had a hard time connecting with any of the characters in this at all. They all felt a bit flat and I had trouble keeping Emika’s teammates straight for a good bit of the book. Even Emika never really jumped off the page for me, and she’s the protagonist. She seems like she sometimes veers into that “bland MC who can’t be too much of a character because the author wants you to be able to picture yourself in their role” kind of territory. 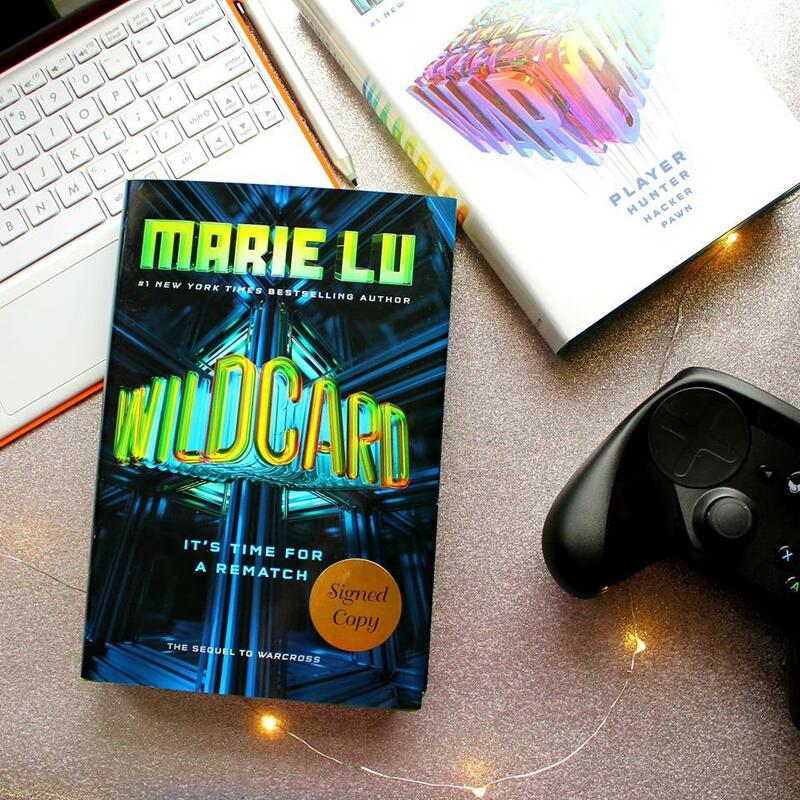 Wildcard also features one major plot twist, and maybe it’s a product of being outside of the target audience for YA novels, but it did not take me remotely by surprise. It was an interesting development, but it seems like Lu was laying on the foreshadowing a bit too thick for it to have the punch that she wanted it to. Finally, it feels very disconnected from the book that came before it in a way I can’t quite articulate. A lot of other reviewers have stated that they almost felt like it took place in a separate universe from the first installment, and I can definitely understand that assessment. Warcross as a game also plays a much smaller role in this book, and I think that also contributes to a totally different vibe. Basically, there was a lot of potential in this book, but it felt a bit squandered. I don’t know if Lu is planning another installment of this series, but regardless, I’m saying goodbye forever to Emika and her rainbow colored hair. Thank you for reading! What’s your favorite story that explores the relationships between power, technology, and morality? Let’s discuss in the comments!